Jazz bands and Jazz groups. 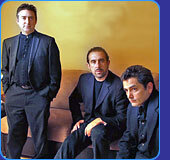 Smooth Jazz is an outgrowth of fusion, one that emphasizes its polished side. 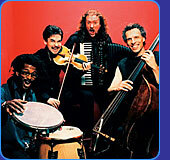 Generally, smooth jazz relies on rhythms and grooves instead of improvisation. There are layers of synthesizers, lite funk rhythms, lite-funk bass, and either trumpets, alto, or soprano saxophones. The music isn’t cerebral, like hard bop, nor is it gritty and funky like soul-jazz or groove. It is unobtrusive, slick, and highly polished, where the overall sound matters more than the individual. There is no one in South Florida who brings this jazz style to life better than Scott Klarman. 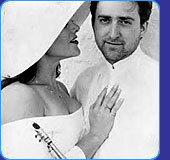 Miami Beach’s PREMIER JAZZ/DIXIELAND jazz group. This highly versatile and entertaining group provide both high class cocktail/background music, or for the more energetic party-goer, full-on, happy, New Orleans style entertainment for your listening and dancing pleasure. Smart appearance and 30 years of experience with corporate events! Total Pros! This Jazz band has a unique ability to recreate swing and R&B classics, while adding their signature to these songs has set them apart, and is what initially propelled the band into the Florida scene. Bolstered by commissions for film and television soundtracks, numerous personal television appearances and countless roof-raising performances, VIBE continues to tighten it’s act. Although trends in music have continually shifted, their focus has prevailed, their music remaining true to American swing-jazz and early R&B. 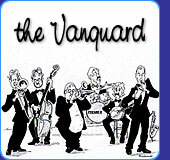 The Vanguard are the ‘premier’ traditional swing and jazz band in South Florida. 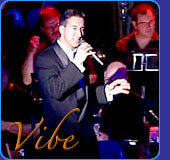 Sizzlin’ horns drive the heart of this music and Vanguard has seasoned talent who’s passion is swing. Quality sound and energetic stage presence rise Vanguard to a higher level of performance. Transport your guests to the era of Zoot suits and lively dance moves. Perfect for themed events or a nostalgic crowd. The Vanguard is sure to be a crowd pleaser.